This probably isn’t the first cold calling post you’ve read. There are TONS of sales tips and techniques all over the Internet about cold calling. In fact, try Googling “cold calling tips” to see what I mean. Millions of cold calling articles will appear. So why does the world need yet ANOTHER post on cold calling? Here’s why: This one involves hard data. At Gong, we have the largest database of recorded sales calls in the world. At the time of this research, over 100,000 of those were cold calls. 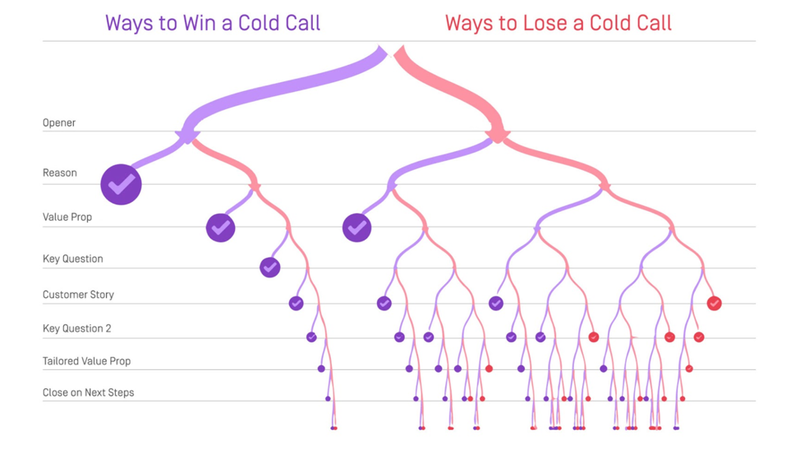 We analyzed those sales calls with AI to identify a slew of data-driven cold calling tips. 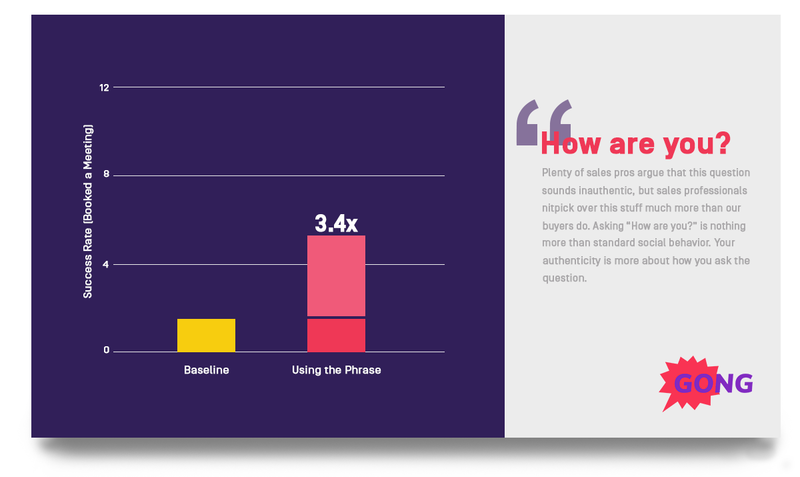 Once your buyer answers, you have 5 seconds to earn 5 minutes. Your job isn’t JUST to get your prospect’s attention during a cold call – it’s to hold it during the entire sales conversation. And here’s your advantage: You’ve done this same cold call hundreds of times. You can predict the conversation “paths,” and how to navigate each one. You have the power to plan every move you’ll make in advance. Every sentence you utter should get the buyer to listen to your next sentence. That means your cold call script must have to be economical and compelling. Here’s how to be economical: Pretend you get $100 to remove any unnecessary word from your sales conversation. Which ones would you remove? Gut those. The rest of this post will show you how to be compelling. FIRST, important people state their full name when you meet them. Not just their first name. Next time you meet someone new, notice if they introduce themselves that way. If they do, I’m willing to bet that your respect level for them jumps up a notch (or two). Again, people who introduce themselves with their full name command respect. SECOND, when you state your name and your company’s name upfront, you maintain control. That’s ESPECIALLY true during cold calls. What happens when you don’t give your name and company name upfront? When they’re asking the questions, you’re put on the defensive. Your cold call will go downhill from there. This is a common way new reps use to open a cold call. This sales call opening line is recommended by multiple sales books. People like to say “no,” so they can feel in control. It opens the door to a successful cold call. Cold calls that opened with this line had a dismal 0.9% success rate. 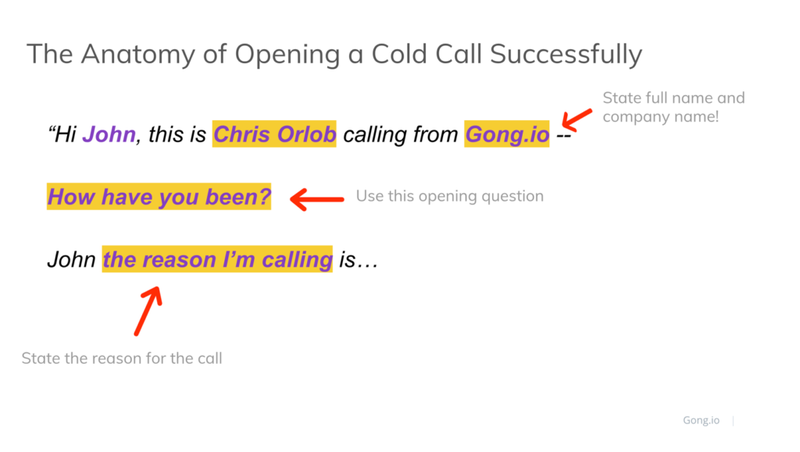 Cold calls using this question boasted a 10.01% success rate. Chris, wasn’t the success rate due to a previous interaction? I get why you’d think that. “How have you been?” implies there was a previous interaction. 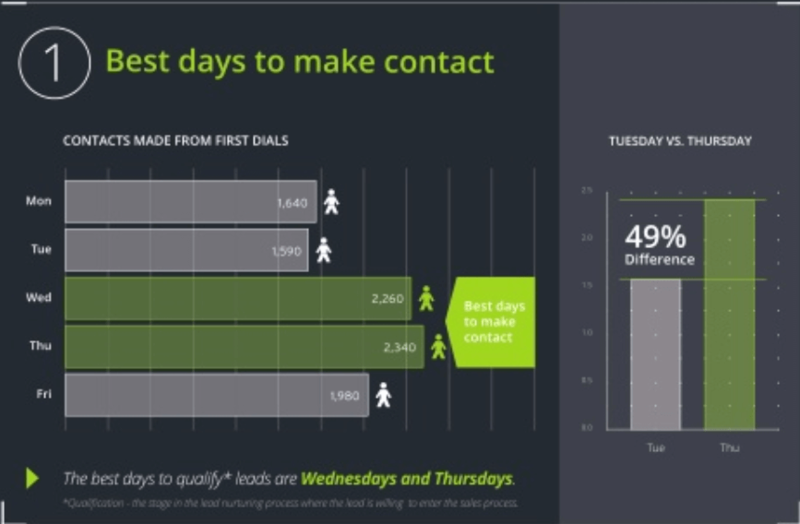 But this isn’t the case – the data set was exclusively first interactions (hence the term “cold call”). So, why does this question work so well? It’s an unexpected, pattern interrupt that scrambles the prospective customer’s brain (in a good way). Even if you’ve never talked to the person before, you can plausibly ask that question to a perfect stranger. Sure, it may sound like you’ve met before, but you’ll be surprised at how rarely anyone calls you out for that. Humans want reasons, even if they’re not particularly strong reasons. Using this cold calling opening line early and often with this phrase puts the buyer’s mind to rest. But now that you’ve read the first five cold calling tips, I hope that you’ll give me a chance to expand on this one. You HAVE to know who you are going after. And with the tools available to you today, there’s no excuse for going into a cold call blind. When our sales team prospects, they have to know how many sales reps the company they’re prospecting has. This gives our reps the “ammo” they need to predict which pain points this company has. Your buyer’s words will always resonate more than your words. 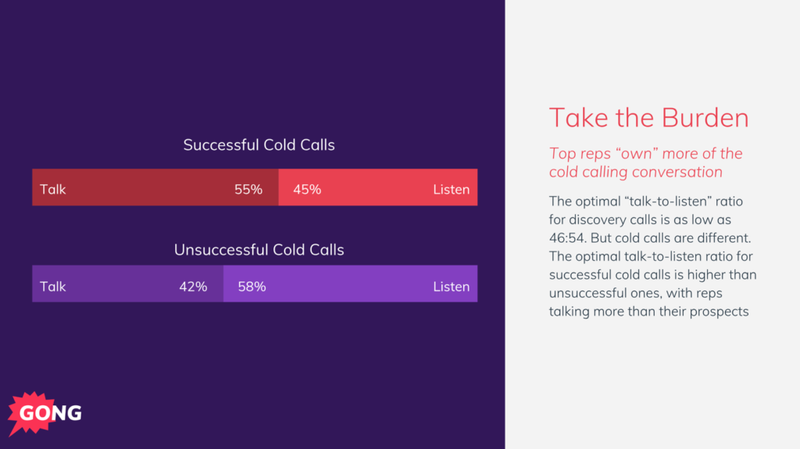 “Listen twice as much as you talk” doesn’t apply to cold calling. 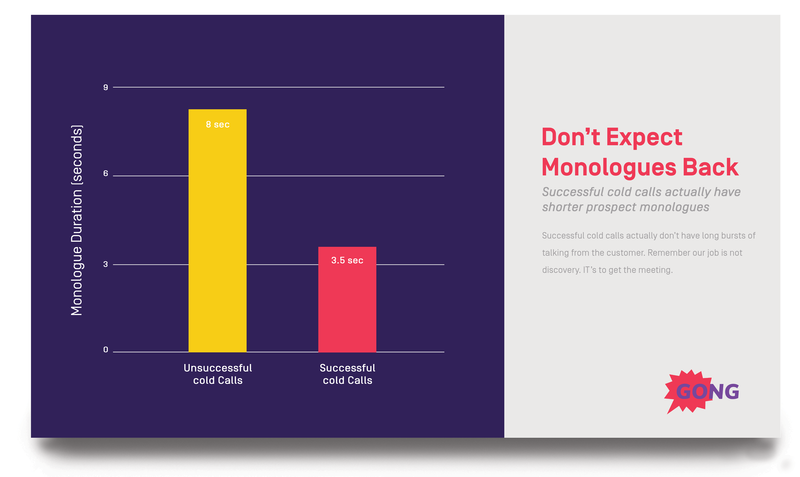 Cold calling isn’t about discovery – it’s about selling the meeting. It’s your job to sell your buyer on why they should attend the meeting. You can start by asking about their “top strategic priorities” later when you book the meeting. Have you ever tried asking “What are your top priorities…” at the outset of a sales call? You probably didn’t receive much of an answer. Focus on selling the meeting, not on asking a probing question your sales manager would be proud of. 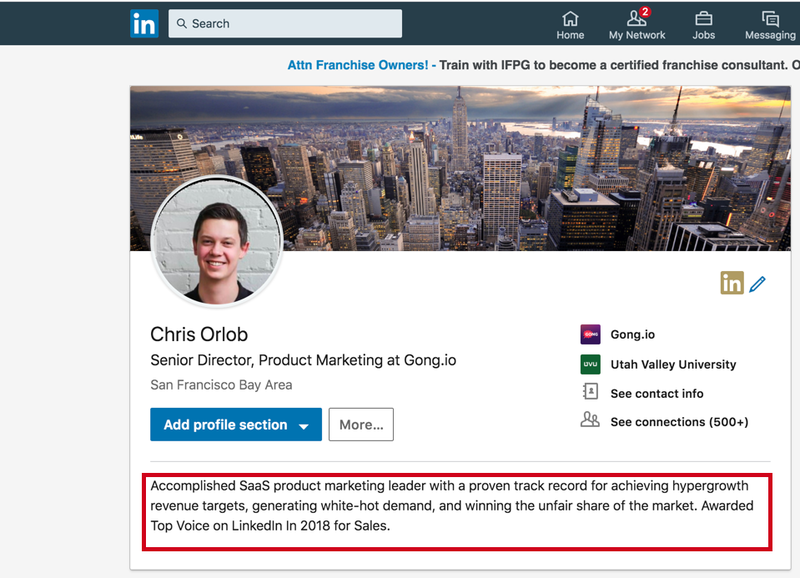 If you’ve followed the previous tips, you’ve secured a platform to make your pitch: It’s your time to sell the meeting. I know, I know. “Pitch” seems to be a bad word in sales today. But there’s a time and place for them. Midway through a cold call is one of them. So what do you SAY during your cold call pitch? You SELL THE MEETING. Talking about their competitor is SURE to get them snap up and listen. After that, I delivered an insight related to their pain point. That by itself is often enough to sell the meeting (they want to know more). …You can judge that for yourself. THAT is what I mean by “selling the meeting.” Notice there was no mention of the product. Alright… You’ve done your research. You’ve opened your cold call smoothly. You’ve sold the meeting. Your prospective customer’s interest is at its peak. Now get that meeting scheduled! Here’s your magic phrase to do it. Do you have your calendar handy? It is by far the best closing line for a cold call I’ve ever seen. We’ve covered a lot of cold calling tips for you as a sales rep. So, what should be going on in your prospect’s mind? 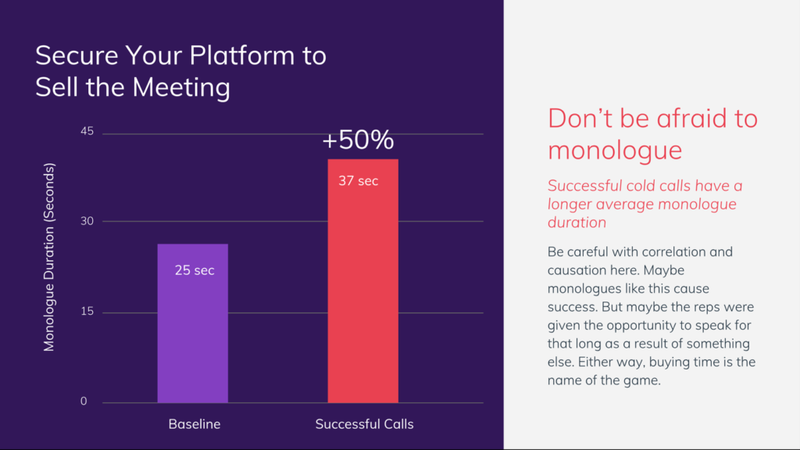 The average prospect monologue length (how long you can get the prospect to talk uninterrupted) in successful cold calls is only 3.5 seconds. As we mentioned earlier, the job of a cold call is to sell the meeting. And to make a great pitch, a few wisely-placed discovery questions might help engage your prospective customer. Intelligent pre-call research combined with a few economic questions is your best bet for getting there. A strong sign that a cold call is going well (and that you have good discovery questions) is the rate of back and forth discussion. While your cold call will likely start off heavy on the monologues, back and forth between you and your prospect should gradually accelerate as the call progresses. In other words, effective cold calls begin as a pitch and slowly evolve into back-and-forth dialogue. Here, you know you’ve educated the customer enough (in a super short amount of time) for them to engage you in a strong dialogue. You’ll overcome objections, an important sales technique. And they’ll want to know more. Most cold calling techniques tell you to avoid asking this. 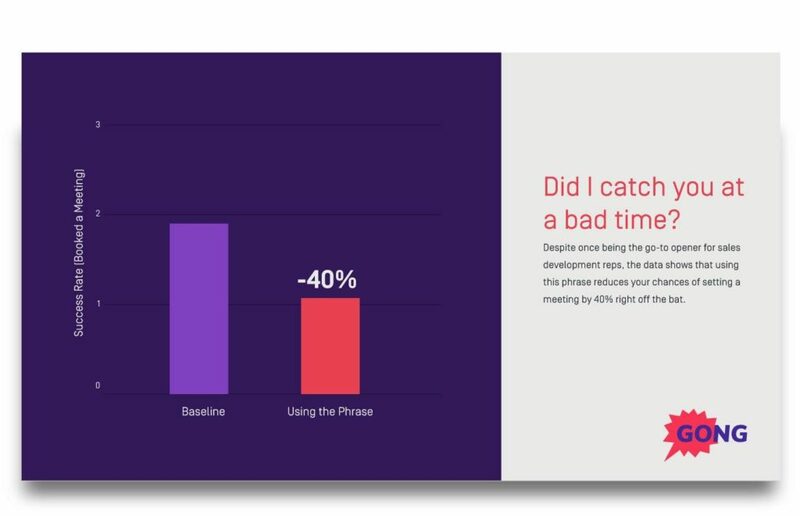 Cold calls that opened with this line had a 5.2% success rate, compared with the 1.5% baseline. Plenty of sales reps argue that this question sounds inauthentic. But if you think about it, sales professionals nitpick over this stuff much more than your buyer will. Sure, a sales professional may be critical of you for using that line – But CFOs? CTOs? VPs of Operations? It’s likely they won’t even think twice about it. Asking “How are you?” is nothing more than standard social behavior. But it’s important to remain authentic (not robotic) when you ask it. Every top sales methodology emphasizes the need to schedule the next steps. Winning cold calls involve more time devoted to discussing “Next Steps” at the end of the conversation. In fact, in some of the most successful cold calls we looked at, “Next Steps” consumed about half of the sales conversation. Or, they haven’t done enough at the beginning of the call to keep the prospect engaged and on the line. 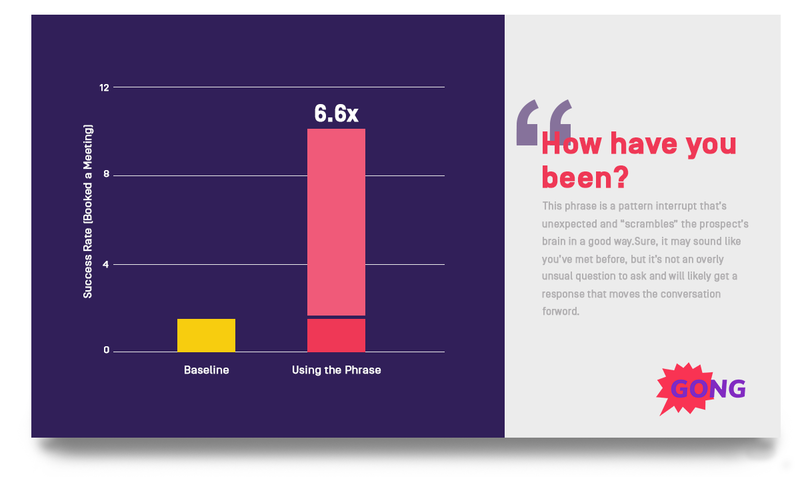 On cold calls especially, it’s better to make your pitch slightly shorter. This ensures you have plenty of time to work through what a next step looks like in a calm, unrushed manner. And when you’re reaching out to a prospective customer for the first time, consider yourself to be the biggest team player of all. 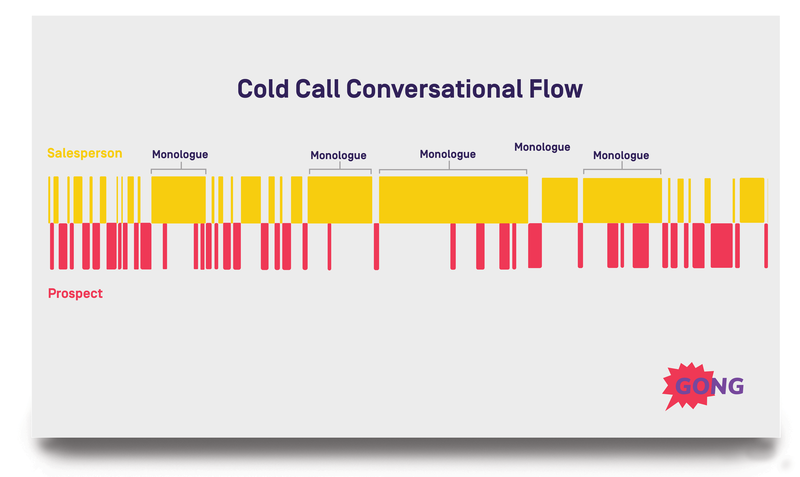 Cold calls that include collaborative language are generally more likely to result in follow-up. Let’s look at “We” vs. “I” as an example. 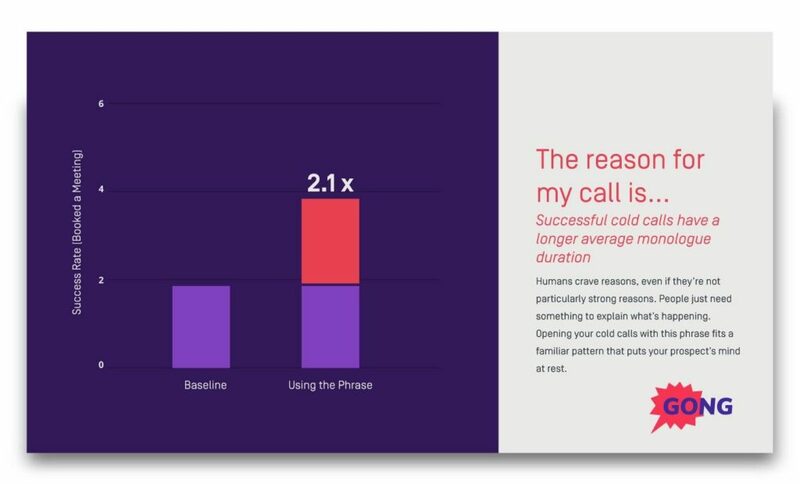 On average, the We-to-I ratio (or, the number of times “We” is used on a call divided by the number of times “I” is used) is 35% higher in successful cold calls than in unsuccessful ones. 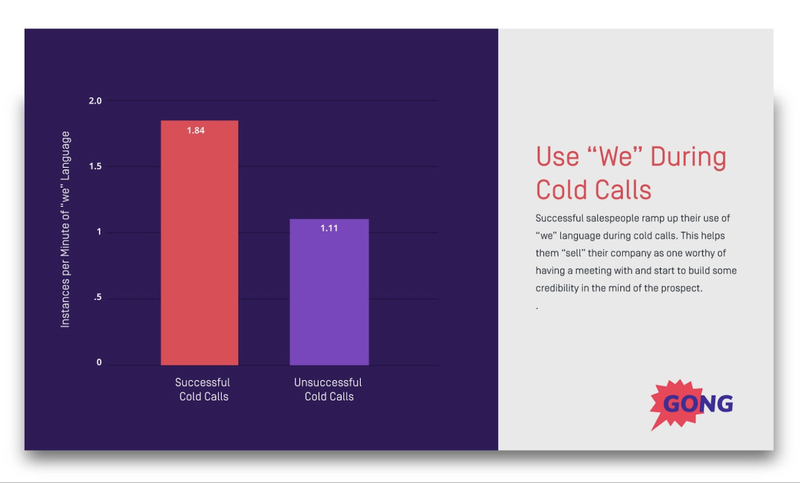 Based on our analysis, the Our-to-My ratio, (aka the number of times “our” is used on a call divided by the number of times “my” is used) is 55% higher in successful cold calls than in unsuccessful ones. This shouldn’t be completely surprising. Mondays are for transitioning back into work mode after the weekend and planning the upcoming week. 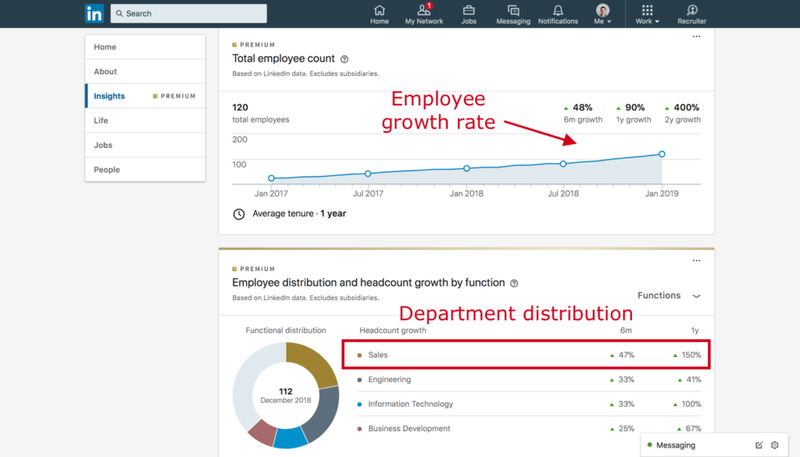 Fridays are usually spent gearing up for the weekend, so a lot of buyers aren’t interested in starting a new relationship with a sales team or rep. However, Wednesday and Thursday leave room for those that are settled into their work week and won’t feel like your call will be an interruption. 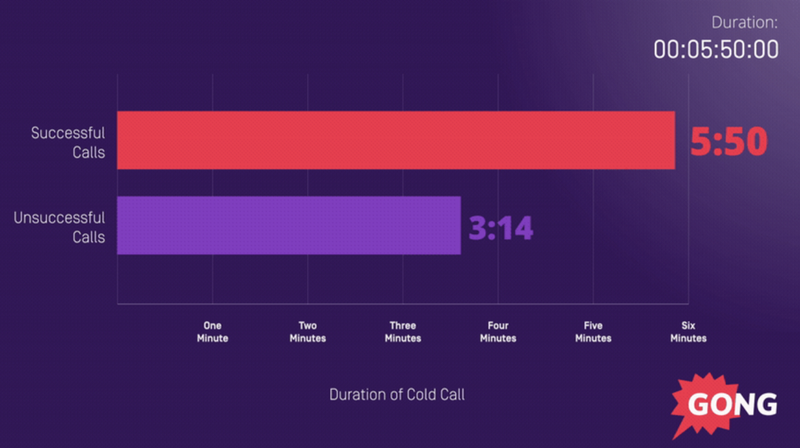 Most reps think the earlier in the day you cold call, the better. You can connect with prospective customers their day becomes too busy. Studies found the best time to call a prospect is actually between 4:00 p.m. and 5:00 p.m., or between 11:00 a.m and 12:00 p.m. When you think about the typical day at the office, you realize at 4:00 p.m., they’re winding down for the day. Similarly, at 11:00 a.m., most people are wrapping up tasks before taking lunch. In turn, your prospect is likely hesitant to start a new task, which makes it the perfect time to take a phone call from you. But then what are prospects doing between 7:00 a.m. and 10:00 a.m.? Heading to the office, which makes these hours the worst during which to make calls. Most businesses open between 8:00 a.m. and 9:00 a.m., which leaves uncertainty about whether anyone will be there to answer your call. And for anyone just getting in, the first hour or two of the day is spent organizing and resolving immediate requests. However, you shouldn’t hold out hope that you’ll reach a decision maker earlier or later in the day. Those that are up with the sun probably went in early to work without distraction, making them less likely to pick up the phone. The same goes for those night owls that are in the office late. All of these cold calling tips are great. But cold calling ultimately comes down to a numbers game. The more telephone dials that you make, the more contact more prospects will have. And as a result, the more opportunity for sales. 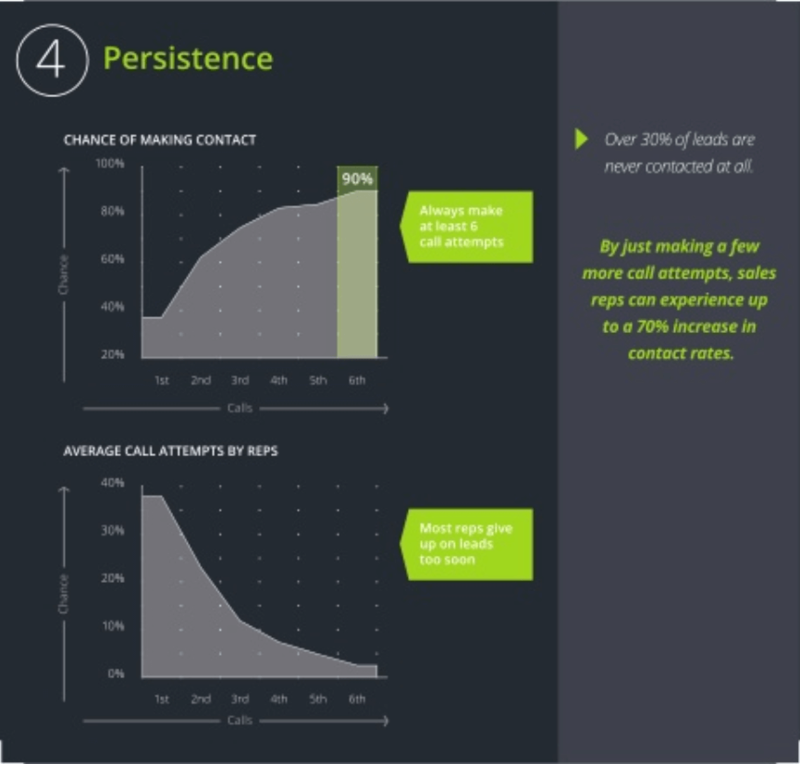 If you make cold calls and understand these sales ratios then you also understand the importance of being persistent. Persistence is something that you learn and following these cold calling tips gives you that opportunity to become even more persistent. And at the end of the day, persistence is a core trait of any successful salesperson. PHEW! That was a lot. My hat goes off to you for reading this far. Click the image above to download it today. Cold calling is alive and well, not dead!